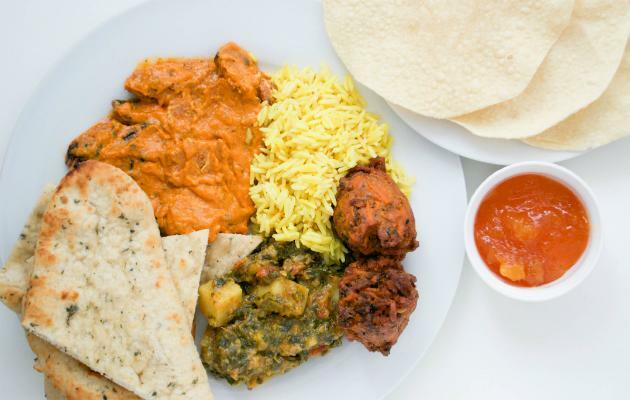 Think of a healthy meal and a curry might be the last thing that springs to mind, but recent research shows that many of the ingredients used within a typical curry can do you the power of good. Turmeric, one of the spicy ingredients of almost every curry from korma to vindaloo may be an effective treatment for Alzheimer's. According to researchers at the University of California, Los Angeles, a chemical found in the spice called curcumin can reduce the build up of knots in the brain that can cause Alzeihmer's by as much as 50 per cent. Paprika, chilli and many other spices commonly found in curries can ward off colds by triggering the body's natural defences to produce extra mucus which traps viruses and soothes inflamed passages. Eating spicy dishes also clears the nostrils and gets rid of that 'bunged-up' feeling, enabling a speedier recovery for sufferers. Lean red meat in curries such as beef, pork and lamb not only provide a significant number of B vitamins which are essential for helping the body to release energy from food, but they can also enhance mood and promote a more positive state of mind. Tomato based curries are a great source of lycopene. This extremely powerful antioxidant is far more prevalent in cooked tomatoes than raw ones. Research shows that eating cooked tomatoes three or more times a week can lower the risk of prostate, lung, stomach, pancreas, bowel and breast cancers. Regular consumption of cooked tomatoes also prevents the formation of blood clots, lowering the risk of heart attacks and strokes by as much as 48%. Many spices, such as curry powder, hot paprika and thyme may also help to cut the risk of heart disease as they contain salicylic acid, a compound that scientists believe may work to stem inflammation in the blood vessels that could otherwise lead to hardening of the arteries. Ginger, an ingredient commonly used in curries, contains an antioxidant that reacts with free radicals that can cause tissue damage and joint inflammation and so helps to reduce the pain of arthritis. Chilli has also been shown to be a powerful painkiller. Several clinical research studies have found that an ingredient known as capsaicin found in spices, particularly chilli, can raise the metabolic rate for as long as three hours after a curry. Coriander, another common ingredient of both Indian and Thai curries, contains high levels of antioxidants that help to lower high blood pressure and prevent the formation of cancer causing free radicals. Lack of energy can be caused by an iron deficiency. This is particularly common in women, with research suggesting that one in four has well below the recommended iron intake. Curries containing red meat such as beef, pork or lamb can be an excellent way of boosting iron intake. A lamb curry can provide up to 50% of the iron a woman needs in a day. Baltis can be particularly high in iron as, during the cooking process, some of the iron from the pans they are cooked in transfers into the food. Other common ingredients of curries such as lentils and spinach are also good sources of iron. No curry would be complete without a generous helping of garlic. Research shows that garlic contains allicin which is antibiotic, antifungal and may even be antiviral. Of course, takeaway curries can be full of saturated fat and not very healthy at all, so try making your own to get the key benefits.